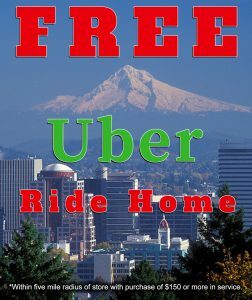 We will meet or beat any advertised dealer coupons you bring us, service for service! We perform all of the required services to keep your factory warranty in full effect. We specialize in providing all-inclusive maintenance services. At Clarke's, we stay on top of the latest automotive training. To show our appreciation, we've created a special referral program just for you. Contact Clarke's Discount for quality auto repair and maintenance. 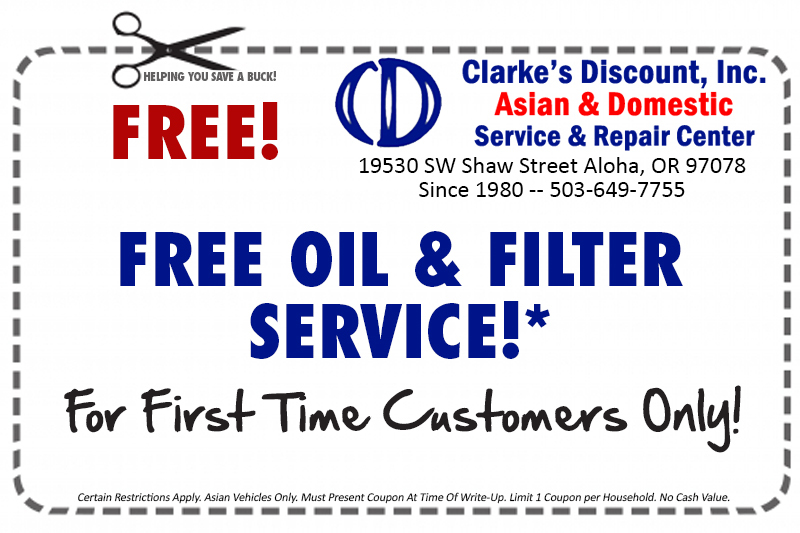 Clarke's Discount, Inc., is your established service center specializing in the maintenance, service and repair of most Domestic & Asian cars. We want to make sure that your car is always safe to drive and pride ourselves on providing outstanding service for your vehicle. 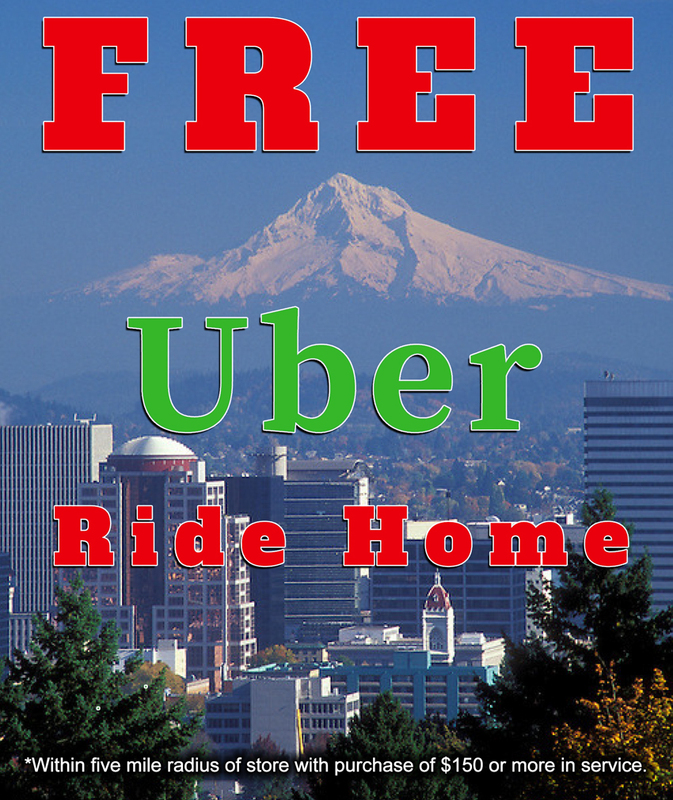 Clarke’s Discount, Inc. has proudly served the Portland Metropolitan area since 1980. At Clarke’s, we stay on top of the latest automotive training to ensure that you always get top-notch service. 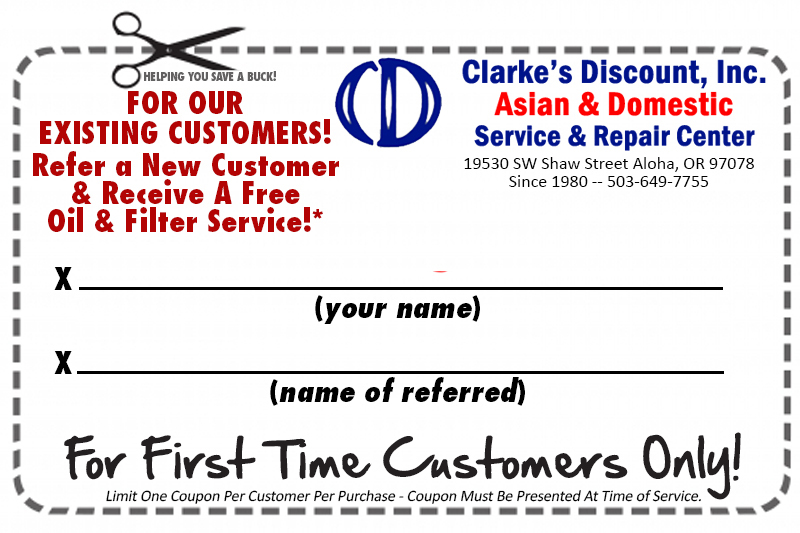 Clarke’s Discount, Inc., is your established automotive repair service center specializing in car maintenance, service and repair of most Asian & Domestic automobiles including but not limited to Honda, Acura, Toyota, Lexus, Nissan, Mazda, Subaru, Chrysler, Dodge, Jeep, Ford, GMC and Chevrolet. . We want to make sure that your vehicle is always safe to drive and pride ourselves on providing outstanding automotive maintenance. Contact Clarke’s Discount in Aloha, OR today to learn everything you need to know about all of our special offers.